Sydney North, NSW has numerous bushwalks ranging from large hikes to short walks. Ku-ring-gai Chase National Park is well worth a visit. 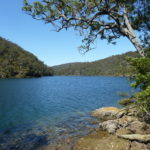 Trailmaze’s Best Bushwalks on the North Side of Sydney.